The Land Use Bylaw 778-2016 regulates the use and development of land, buildings and signs in pursuit of Town of Fox Creek’s statutory plans including the Town’s Municipal Development Plan 775-2016 and Downtown Area Redevelopment Plan 777-2016. 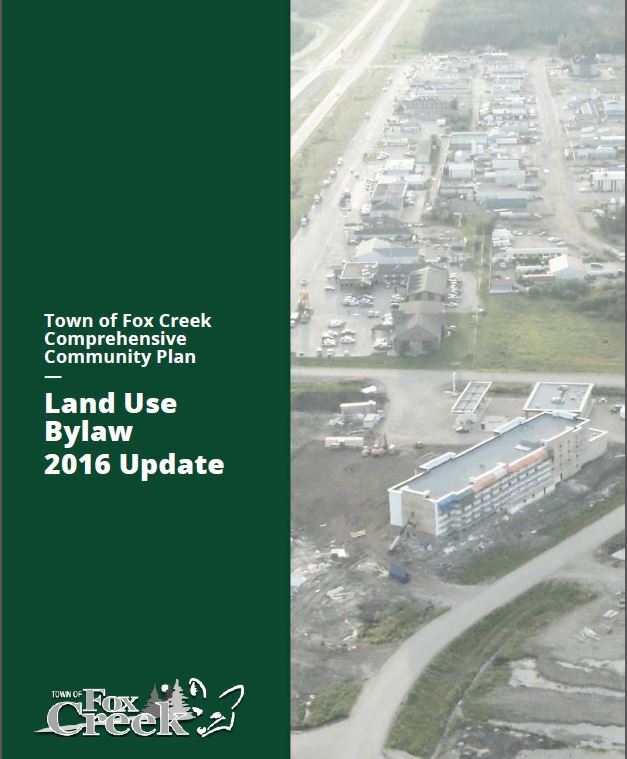 The Land Use Bylaw impacts everyone in Fox Creek to varying degrees. Click on the following link to see a complete version of the Bylaw. Lot 1, Block 46, Plan 152-2919 rezoned from Urban Reserve to Industrial District.Note: Illustrations will be added when available.